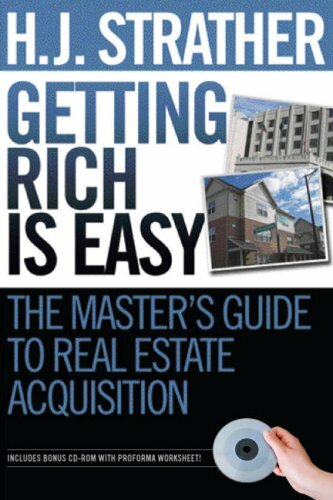 In his new book Getting Rich is Easy, published by HJ Strather Real Estate Academy, Strather candidly reveals how he has structured hundreds of real estate transactions without investing any of his own money. He systematically lay outs out a step-by-step, can’t-miss formula that he contends will change the reader’s financial life forever. His refreshing how-to approach to wealth, via real estate, is clear and straightforward. Because of his love for the Motor City, the native Detroiter shares his real estate knowledge, wanting to empower other citizens of Detroit, as well as those living in other urban areas of America. Strather’s book is his blueprint for the success he has enjoyed for over three decades. Herb Strather's philanthropic character and fundraising abilities have included working with the powerful National Progressive Baptist Convention (PNBC) as past Chairman of the Economic Development Committee and Chairman of the Finance and Budget Committee. Strather currently serves as Chairman of the Budget Committee for the PNBC.